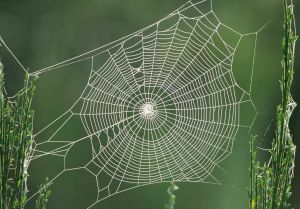 “O what a tangled web we weave when first we practice to deceive.” Lord Marmion was a villain who wove the tangled web in Sir Walter Scott’s epic poem of the same name. He wanted a rich woman and her money. He forged a letter framing her fiancee for treason to get him out of the way. He abandoned his mistress to a nunnery where she was walled up alive. But she got revenge by exposing the forgery. He was killed in battle before he was called to account. Too bad. He was deliberately and maliciously deceptive, not delusional. Deceptive or delusional? What about the promotors, enablers, and defenders of Mississippi Power’s runaway $6.3 billion Kemper County Lignite Plant? Are they deceptive or delusional about their half truths, exaggerations, excuses and misrepresentations? They say the plant will be good in the long run? Do they believe it? So what? In the long run we’re all dead anyway. The plant’s first-of-a kind gasifier hasn’t operated and may not, its cost is now over six times that of a natural gas plant, and its electricity will cost over five times as much if it ever makes any. Are they hopelessly entangled in their deceptions? Are they stalling? Is a lie a lie if you say you believe it? Would you rather be thought stupid or venal? Delusional or dishonest? An incompetent or a villain? Deceptions exposed. Events have exposed Kemper deceptions. It’s like whack a mole. They keep popping up. Except it’s more like whack an elephant. One recent exposure is about byproducts. The company says it will sell byproducts from the gasifier to help offset its cost. The byproducts are carbon dioxide, ammonia, and sulfuric acid. Initially gasifier byproduct revenues were supposed to be $55 million per year. Then, $115 million. The increase looked suspiciously convenient at the time. Now it just looks like another deception. Byproduct sulfuric acid and ammonia are cheap commodities with high transportation costs. They may cost more to recover and deliver to market than they are worth. So the company is probably dependent on carbon dioxide sales for significant revenues. It hopes to get paid to sequester some of its carbon dioxide (i.e., put it underground) . This will score political points for the EPA’s “clean coal” initiative. The EPA says carbon dioxide pollutes the atmosphere. It knows how to pollute – streams anyway. Actually, carbon dioxide is the raw material that photosynthesis turns into trees and plants. Its presence in the atmosphere is essential for life on earth. Go figure. Mississippi Power thought it had a twofer with Kemper’s carbon dioxide. It would inject it into depleted oil fields. This would keep it out of the atmosphere and also increase oil production. Not to worry about the inconsistency that more oil adds more carbon dioxide to the atmosphere when burned as gasoline and diesel. Or that some of the injected carbon dioxide comes back up with the oil. Mississippi Power reports two contracts to sell Kemper’s carbon dioxide, but no price information. The buyers are Denbury Resources for 70% of the carbon dioxide and Tellus Operating Group for 30%. Denbury is a billion dollar NYSE company with scale and financial substance. It appears capable of performing its contract obligations. Tellus is a privately held LLC whose financial substance has not been disclosed. You might say Kemper’s deal with Tellus is akin to Minute Maid’s selling 30% of its lemon juice to a corner lemonade stand. Both Denbury and Tellus operate old oil fields and inject carbon dioxide to enhance production (tertiary recovery). Denbury also produces, transports, and sells carbon dioxide. It dominates this market. It gets most of its carbon dioxide from the Jackson Dome which it controls. This is the largest natural reserve of carbon dioxide east of the Mississippi. Denbury’s fortunes are tied to the price of crude oil. Its recent second quarter SEC 10 K filing reported a $1.7 billion asset write down. It said another write down is coming in the third quarter. These write downs reflect lower crude oil prices and current asset values. They are required by the SEC. Denbury also said it is cutting operating costs in response to lower oil prices. This includes a 25% cut in the cost of carbon dioxide for tertiary oil recovery. Its carbon dioxide cost in the second quarter was 33¢ per mscf or less that $6 per ton. If Denbury’s cost of carbon dioxide reflects the market price for Kemper’s carbon dioxide, the revenues from Kemper’s projected 3 million tons per year sequestered would be less than $18 million. The company assumed $115 million to justify the Kemper project. The difference of $97 million means a 15% rate increase for retail customers if they pay for this mistake too. That’s in addition to all the other increases. The hits keep on coming. Deceptive cost and revenue projections. Kemper’s justification is based on deceptive cost and revenue projections. Two lame duck PSC commissioners went along. It’s time for a 2015 reality check. There will be a new commission after the November elections. It should evaluate Kemper based on 2015 real numbers, not 2010 delusions. It should make Mississippi Power mark Kemper’s numbers to market the way the SEC makes Denbury mark its reserves to market. Get real. No more wishful thinking, delusions, and deceptions billed to customers. Lord Marmion wanted a rich woman’s money. There may be some rich women among Mississippi Power’s 155,000 residential customers. But there are more poor women, single moms, and others struggling to make ends meet. Median household income is $38,000. Yet Mississippi Power executives, backers, and two PSC commissioners want them to pay for Kemper’s mistakes. Pretty shabby. Lord Marmion was a villain, but not shabby. He didn’t scheme to take money from the poor.